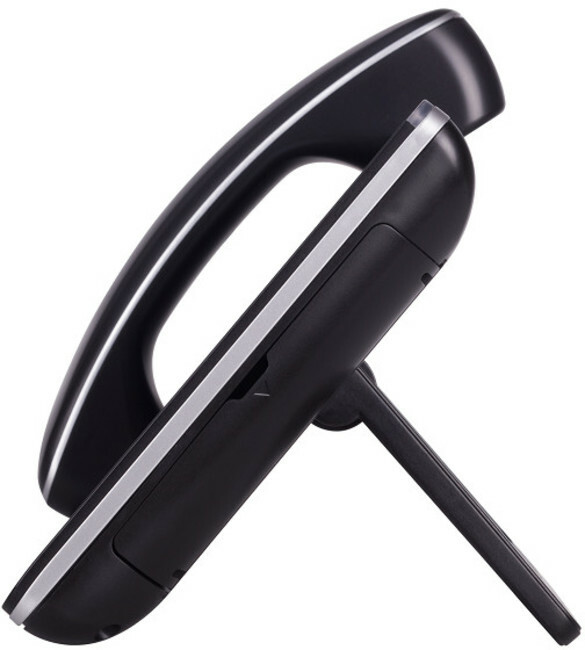 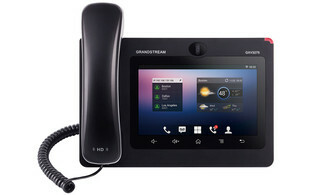 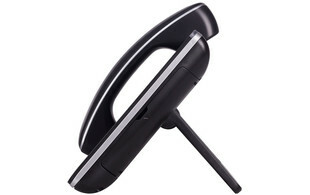 The Grandstream GXV3275 is an IP video phone which runs on the Android 4.2 operating system. 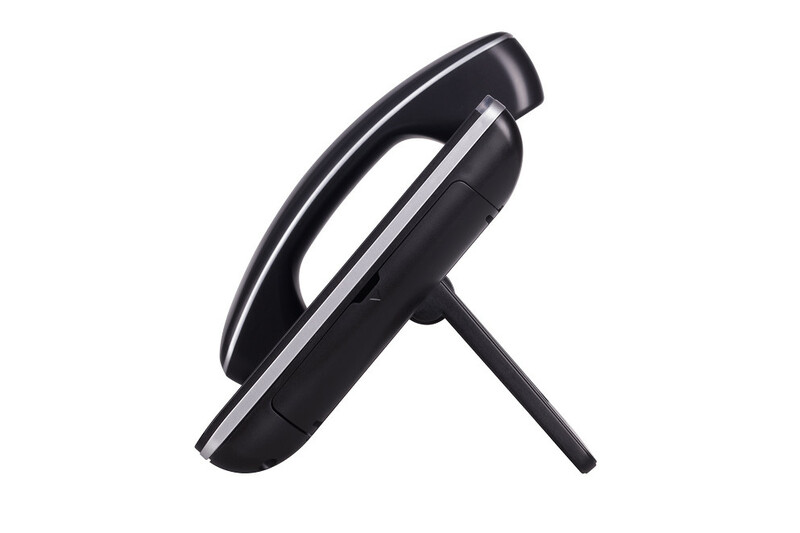 This offers full access to the many Android applications in the Google Play StoreTM, including popular productivity enhancing and business applications. 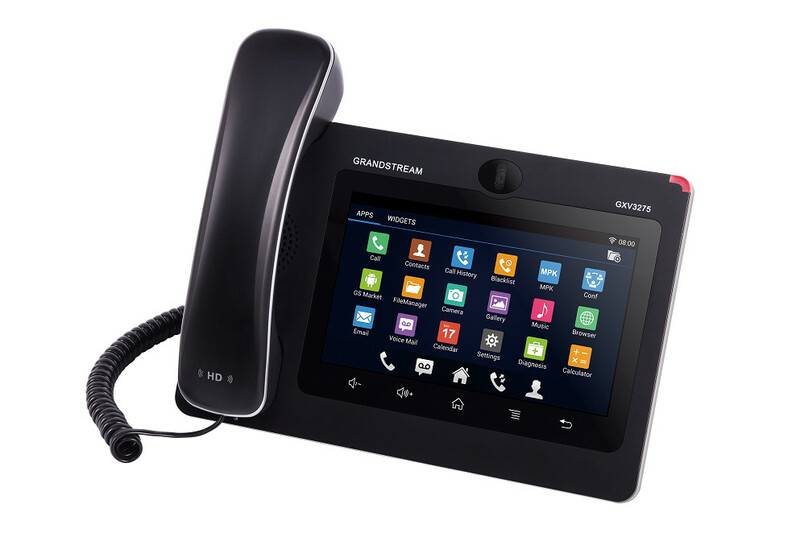 The GXV3275 has a large 7 inch touch screen display, integrated Bluetooth, dual Gigabit ports and a built-in web browser. 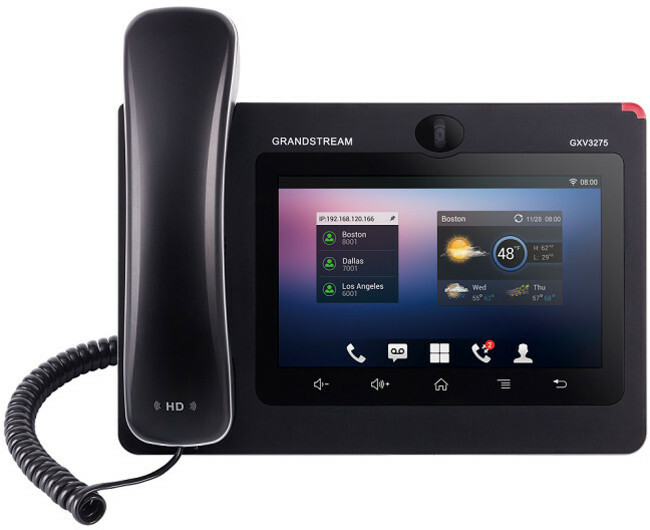 The GXV3275 is a Unified Communication phone which allows you to connect to multiple voice and instant messaging platforms within a single end point. 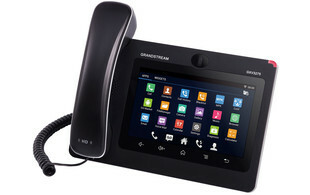 You can install Skype, Lync client and other Voice/IM clients from the Google Play StoreTM. 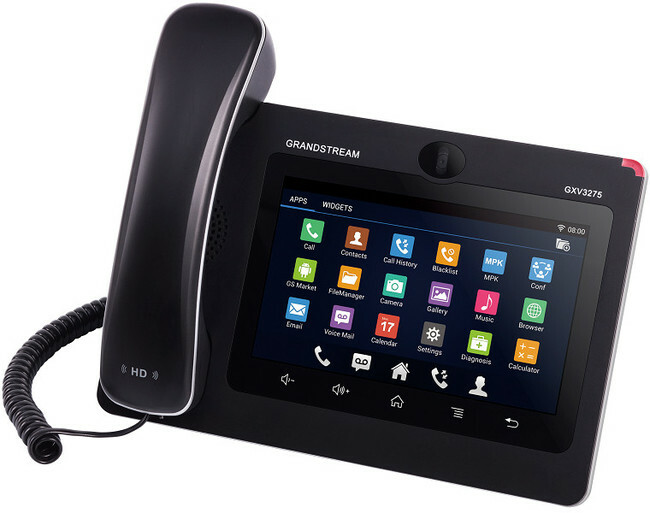 This phone is also ideal for use with our range of IP video door phones as it can display the video image from the intercom and let you control the door lock by a press of a button. 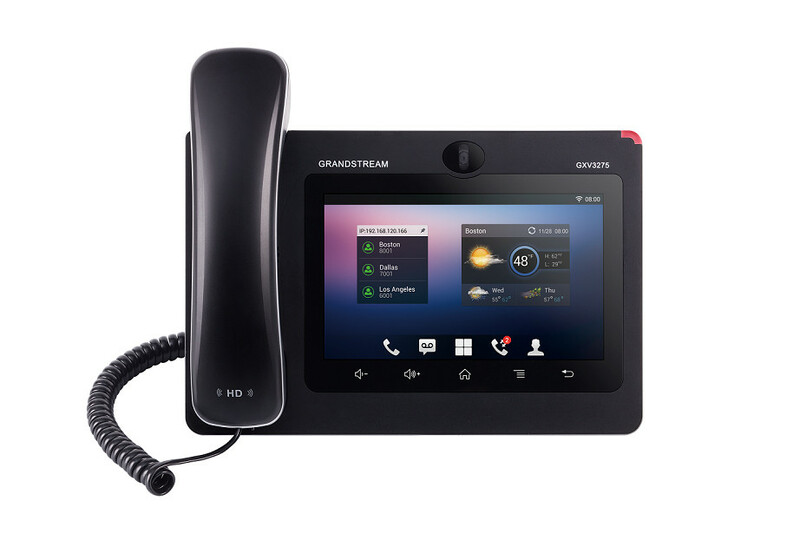 The GXV3275 has been interop tested with the Protalk / Alphatech and 2N range of IP intercoms.